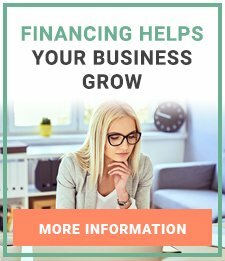 If you are thinking of starting strong in the beauty business or the need to grow your business recently became apparent, you are for sure on the right page of this website. 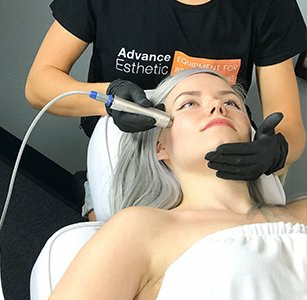 Our 11 in 1 facial machines for sale are everything you need to start strong without breaking the bank. Not only is the pricing surprisingly low, the quality and, most importantly, the range of included functions in just one machine it truly astonishing. We would like to additionally note, that we at AE work only with the best manufacturers in the field, we partner with well-known and highly respected companies that constantly develop and better their products, stand by their research and are all about the technology and innovations. We have few different brands that manufacture 11 in one machines, but, the treatments included are almost identical. The companies have done their market research and ended up with the conclusion that these 11 functions are all the tools you need to succeed. So, let’s see what you can offer your clients with just one amazing 11 in 1 multifunction facial machine. All in One. With just one machine you will have a full-functioning beauty salon. There are the basics like trays, bowls and jars, a towel heater and ozone facial steamer, the necessary magnifying glass and lights for diagnosis, the must-have brushes and vacuums for effective skin cleaning, and last but not least the money-makers like widely known and very popular Ultrasonic Scrubbers, Ultrasound treatments, Galvanic and High-frequency procedures. Cost-effective with instant ROI. All of our 11 in one machines are priced well below average; we can help you start your business for just a bit over a 1000 USD. Just for reference: one Ultrasound facial treatment costs from 100 to 300 USD per session. Clean ergonomic design. These machines are built to fit in any limited space while being able to hold all the necessary instruments, beauty products and equipment you might need. The intelligent combination of beauty treatments are all complementary to each other. It truly is a full-functioning salon in one machine. The 11 in o tower is always thought through and first and foremost includes much needed a Storage Tray for your products and a Towel heater. Bowls for mixing the beauty products are available in all of these machines. Magnifying lamp. Professional magnifier is a staple. It is essential for proper skin analysis and is used in many beauty procedures. Wood's Lamp is an essential tool for the in-depth analyzing the skin. It is widely used within the beauty industry and is included in most of the multifunctional machines. Facial Steamer. One more must-have. This piece of equipment not only effectively cleans the skin, but boosts blood circulation and provides proper hydration which makes fine lines and wrinkles less visible. You get much-needed steam sterilization with the Ozone function. And every expert we know stands by aromatherapy – it is highly relaxing and calming experience that customers love and often request. There is also Spray therapy function that is used to smooth the skin after various treatments. It quickly and effectively calms the treated skin. The included Peeling brush effectively removed cells from the superficial layer of the skin. 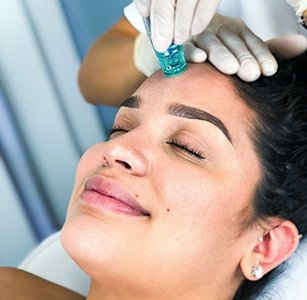 Vacuum massage therapy and Vacuum Extractor are the best tools there are to clean the pores, effectively remove puss, pimples, blackheads, and whiteheads. The extractor can even be used to extract cysts and comedones. Galvanic therapy is included in all of our 11 in 1 machines as it is popular an effective treatment for small line and wrinkles, and in most parts can decrease the appearance even of deep lines and fine wrinkles. Ultrasound therapy is always among the top beauty treatments in every salon. It is a safe and painless way to deliver creams, serums, hyaluronic acid and other beauty products deep under the skin. It is effective with lifting and tightening the skin and bringing back the elasticity. Ultrasonic Scrubber has been the top most in-demand facial cleansing treatment for years. There is no better way to effectively clean the skin and boost elastin and protein production. And there is the High-frequency treatment that can effectively stimulate healing processes; overall improve the tone and texture of the skin. Treatment has great antibacterial properties and can accelerate cell metabolism. There is much more to explore with our line of fantastic 11 in 1 Multifunction Facial Machines. Your perfect multifunction machine for sale is always available in our showroom for you to check out. 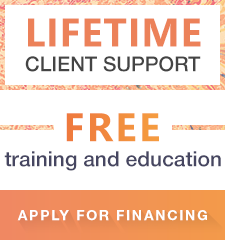 You are also welcome to contact us any time – we will gladly offer free training and consultations on all the equipment we have for sale. Please feel free to contact us if you have any comments or questions. In this category you can find 11-In-1 multifunction facial machines. In order to recover the cost of your equipment, all you need is to provide 10-15 procedures. If you are looking for high quality and great prices for 11-In-1 multifunction facial machines, you have come to the right place.